Tuesday, April 2nd and run through May 28th. Registration is still open! Financial Peace University is a nine-lesson, money-management class taught by America’s most trusted financial guru, Dave Ramsey. Dave and his teaching team will walk you through the basics of budgeting, dumping debt, planning for the future, and much more. The class format allows participants to view videos at home at their convenience, then come together in a weekly group to discuss and learn from one another. Please complete your ministry Card today to note your interest in attending, or simply sign-up online. 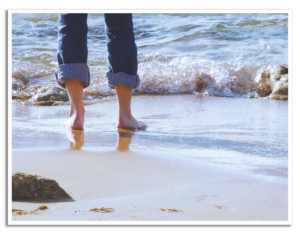 Seaside Escape is a retreat where women slow down and enjoy time with other women and with God. It’s an in-depth Bible study, and unforgettable worship experience, and an open invitation for women to draw closer together, to be still in God’s presence, and to sun themselves in his love. It’s time for our annual visit with our ELCA Living Stones Congregation. We are invited each year to travel to Shelton for a Saturday evening service with the men. Join us on Saturday, May 4th for worship with the men of Living Stones. We hope you can join us for a trip to serve alongside our brothers and sisters in Hoquiam/Aberdeen. There will be work appropriate for elementary aged children on up to those in their twilight years. We will do different jobs like cleaning and organizing food banks, preparing the community garden for summer and/or assisting city clean-up crews. All that is needed is a humble spirit to serve with the community, flexibility, and the willingness to listen and learn. Online Registration is due by March 25th. This year, Lay School of Theology will be offering a primer on the life and writings of CS Lewis. Join us May 18th. C.S. Lewis is heralded as one of the most important Christian writers and thinkers of our century. He is most well-known for the Chronicles of Narnia but has written dozens of books on Christian life and theology. In particular, he is very helpful when it comes to sharing our faith with those who do not believe. Indeed, looking at the life of CS Lewis and his conversion to Christianity will relate well to the primary focus of our “Break the Barrier” strategic plan. Our guest speaker is our local CS Lewis expert, Rev. Ron Hoyum of Port Madison Lutheran Church on Bainbridge Island. Rev. 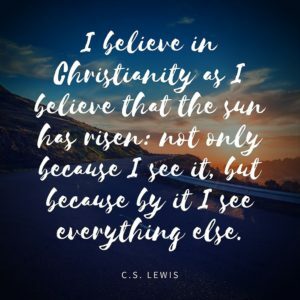 Hoyum teaches classes regularly on CS Lewis that are attended by people from many different denominational backgrounds. I Can Do All Things Through Christ Who Gives Me Strength! Did you know YOLO? [You only live once]. God has given us an amazing world, amazing community and an amazing camp—and you are invited to kick off your summer at family camp. Camp starts on the longest day of the year with dinner. Throughout the weekend you can swim, hike, learn to fish, build a fort in the woods, play games and even share your talent in our awesome talent show. If you have FOMO [fear of missing out], no worries. Everyone is welcome join your SLC family at camp this summer. MEN’S RETREAT: Coming this August 16th-18th! We will be exploring a new place near Quilcene – The Refuge We will stay in a beautiful lodge, with a gourmet kitchen and barbeque. Lodging will be a mix of single, shared rooms and cabins. Many of the activities available will be boating, fishing, hiking, biking and more. Copyright © 2019 Silverdale Lutheran Church - Silverdale, Washington.